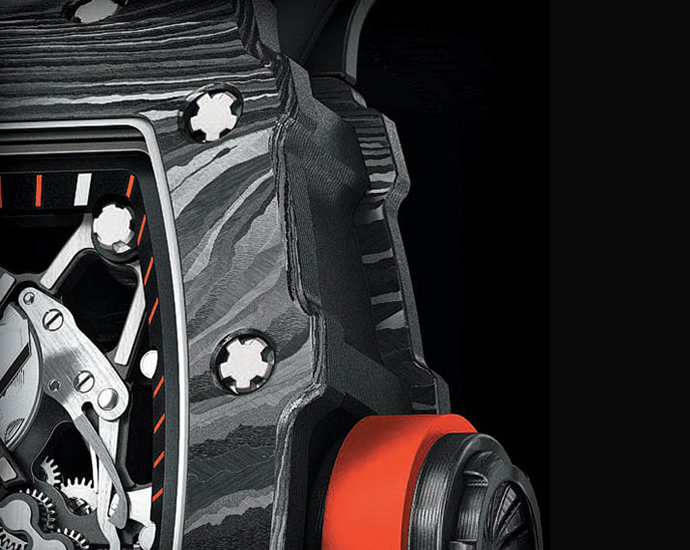 The year’s first grand slam, Australian Open, is underway and No. 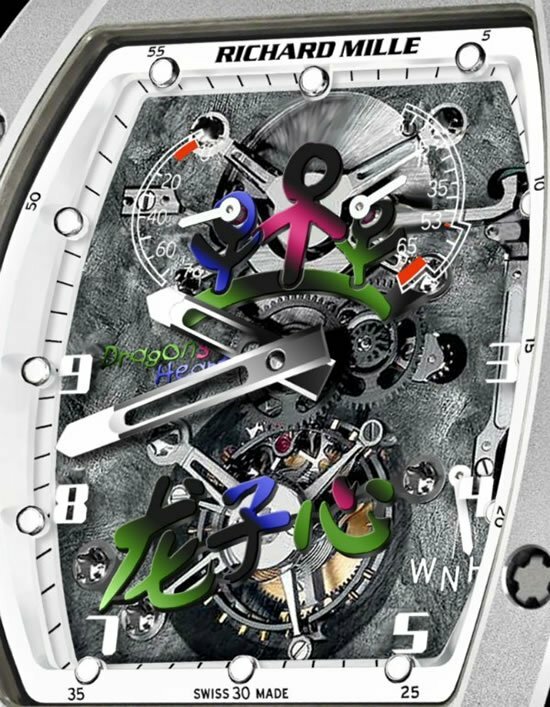 1 seed Rafael Nadal is having a great tournament so far. 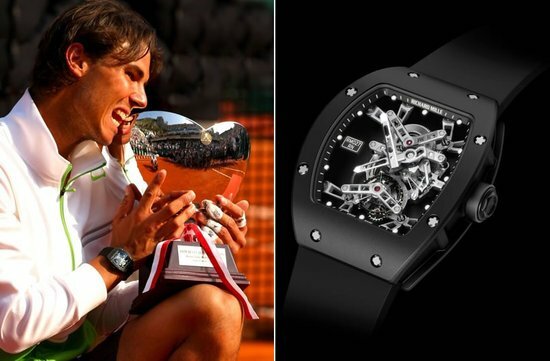 The Spanish tennis superstar is known to love his watches and is seen in matches wearing specially designed timepieces. 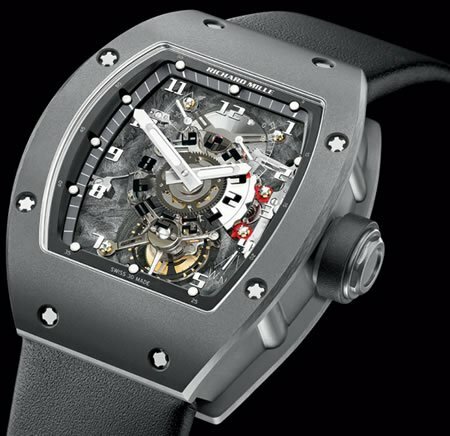 Richard Mille’s RM027 watch specially made watch for Rafa made headlines when he was seen wearing the $690,000 watch during the French Open and Wimbledon matches in 2010. 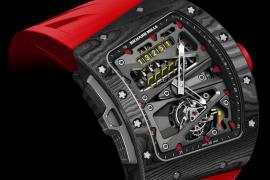 Building on stunning RM027 Tourbillon’s popularity, watchmaker Richard Mille has unveiled his latest uber-luxury watch for Rafa, the RM 35-01. 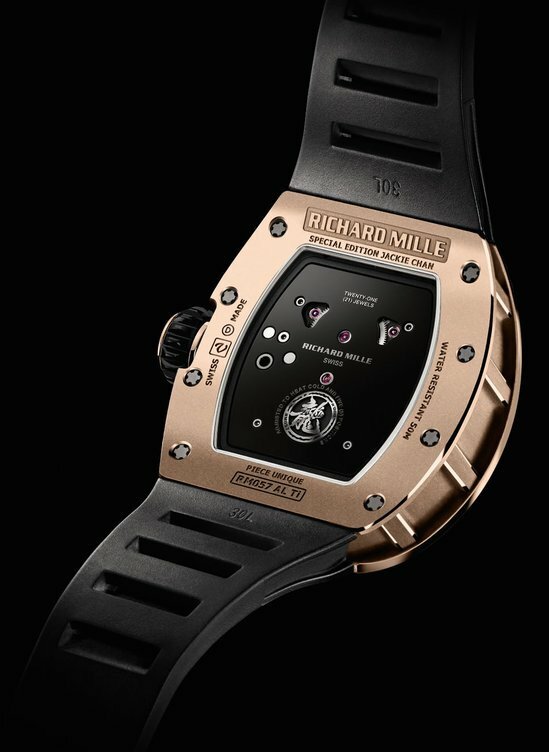 The hand wound RM 35-01 sports a carbon case manufactured using the proprietary NTPT technology recently developed by Mille. 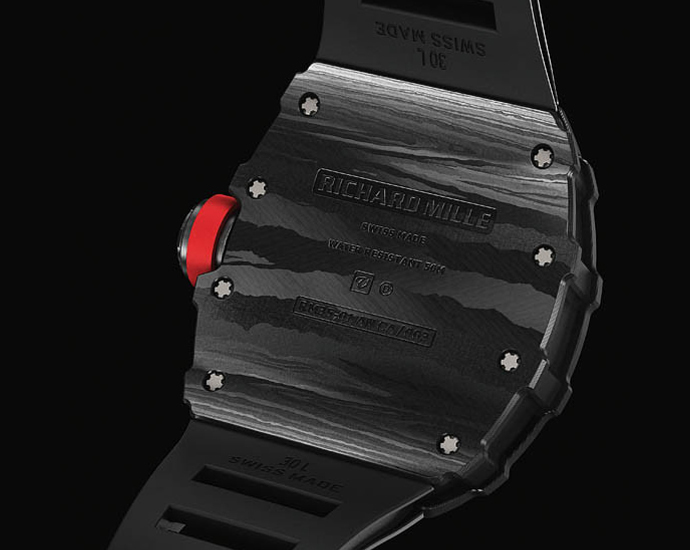 The NTPT carbon case which was announced by Richard Mille back in October 2013 is made up of several layers of parallel filaments of carbon of a thickness of 30 microns, which is impregnated with a resin stacked on a specific machine which modifies the fiber orientation of 45° between two layers. 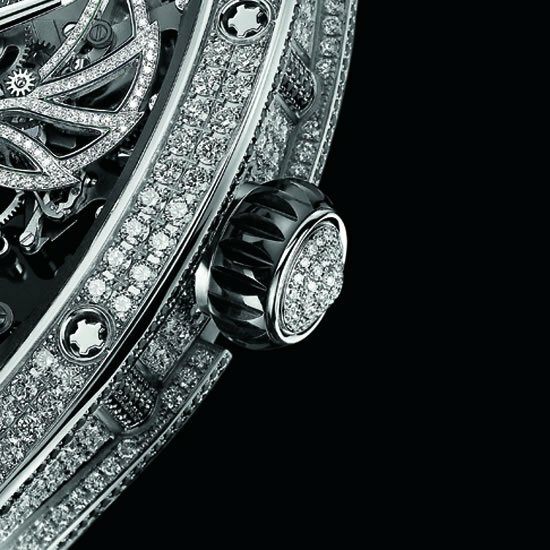 This not gives the case a unique wave like pattern, but also high rigidity while maintaining low weight. 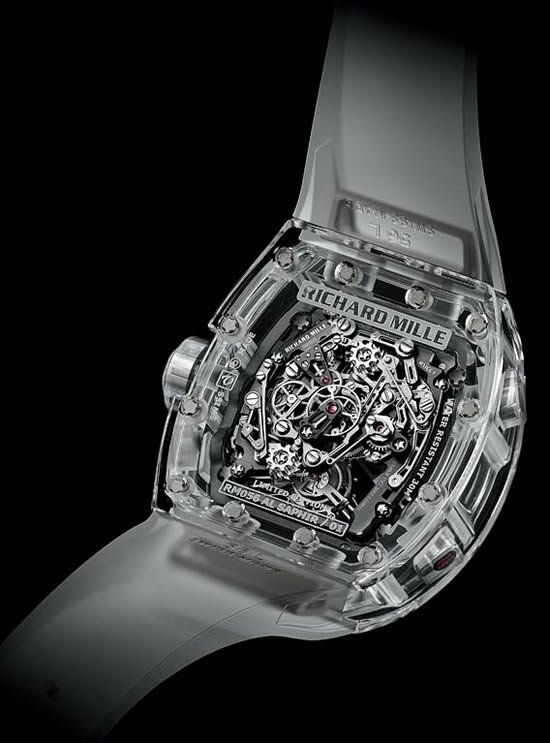 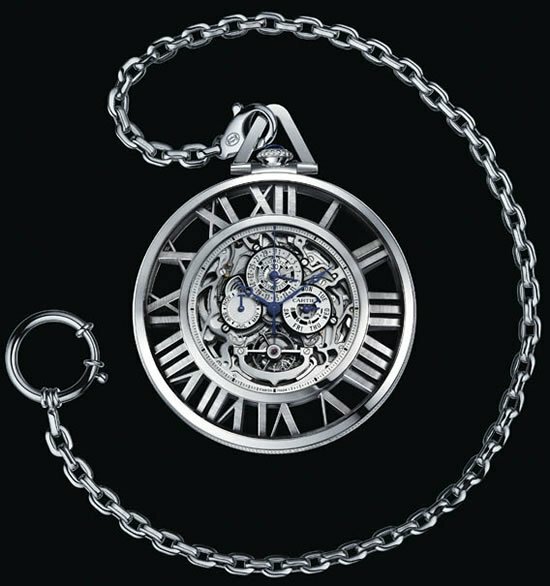 The luxe watch is powered by a Calibre RMUL3 skeleton manual winding movement that weighs just four grams and comes crafted in titanium grade 5 black PVD. 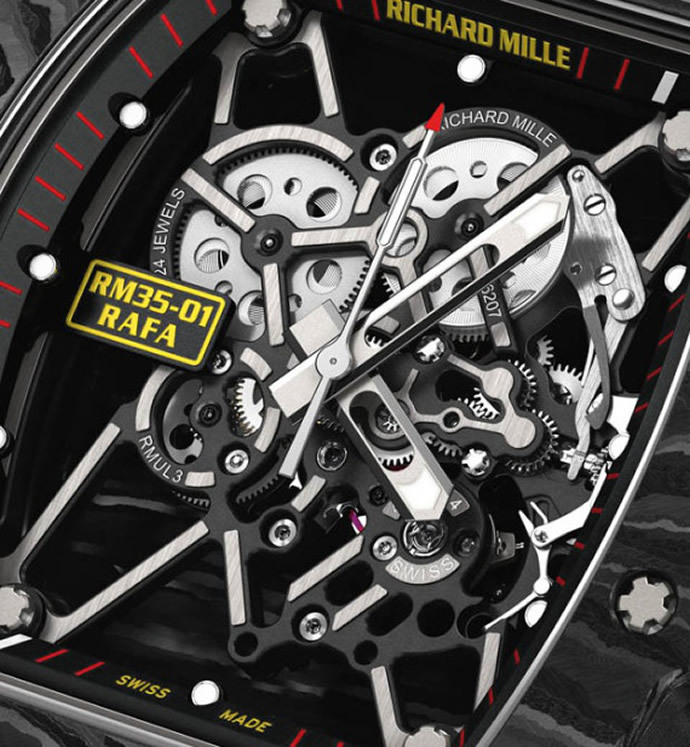 The Rafa signature RM 35-01 availability and pricing have not been disclosed as of yet. 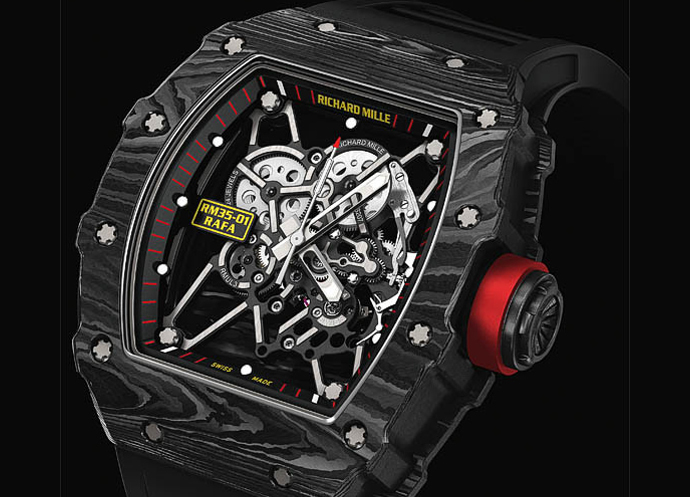 Next articleThe uber-expensive $100 a cup Cat dung coffee Kopi Luwak: condemn or covet?